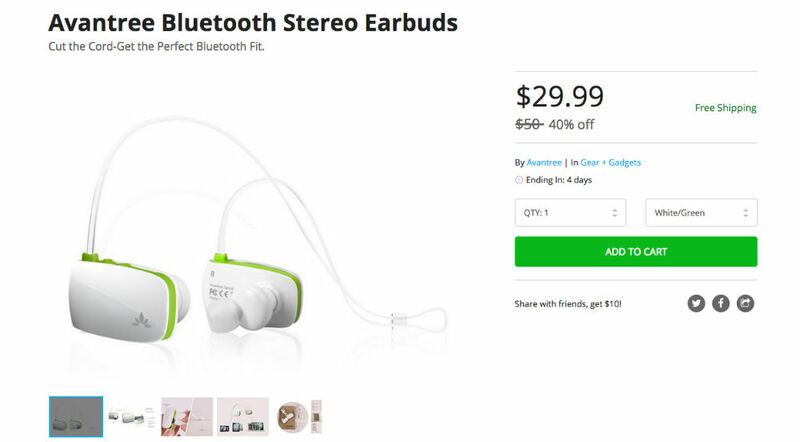 Over on the DL Deals Store, you can pick up a pair of Avantree Bluetooth Stereo Earbuds for just $30, regularly priced at $50. These earbuds are able to connect to your smartphone for audio and call playback, complete with a “small and stylish” design. These little buds are able to playback audio for up to six hours, with charging done via a USB cable. According to Avantree, these buds feature incredible sound from built-in in-ear drivers. If you need some decently priced Bluetooth earbuds, hop on it. To get an additional 10% off your purchase, enter code EARBUDS10.